Jeopardy! is running its annual Teen Tournament right now, a.k.a. the yearly chance for America’s glut of trivia-obsessed teens to fight it out for the chance to be named King or Queen of the Nerds. Besides serving as a vital drafting tool for America’s top bullies as they look for new talent to “scout,” the Teen Tournament is also the long-running quiz show’s biggest attempt at youth outreach, transforming the pun-obsessed youngsters of today into the answer-in-the-form-of-a-question dweebs of tomorrow. Like, do teens even still dab? 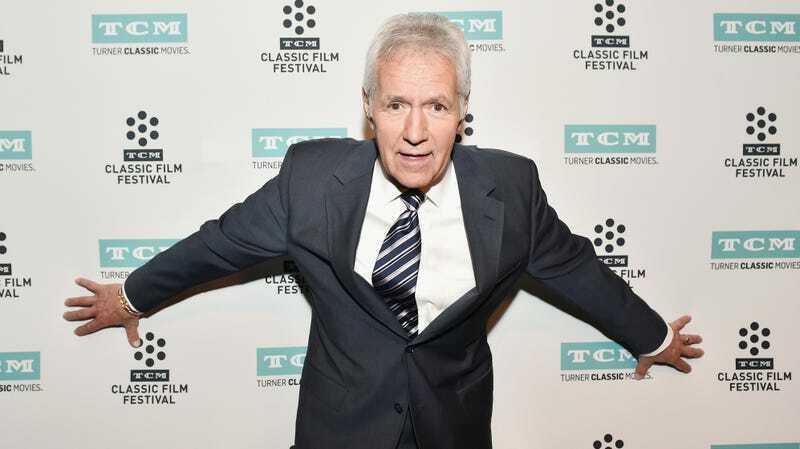 Did Trebek himself not bloodily murder that particular dance move when he performed a variant of it on the show last year? What’s next, Jeopardy! : Questions about Fortnite? (Oh god, there are going to be so many questions about Fortnite, aren’t there?.) You don’t have to do this to yourself, show. You’re not goddamn Wheel Of Fortune. These nerdy children have already pledged their souls to you, forged in the fires of hundreds of quiz bowls and spelling bees and Knowledge Masters competitions. Anyone watching Jeopardy! is already 40 in their soul, regardless of their physical age; you don’t need to gild the lily with memes and dancing statues, too. You’re better than this, or at least more comfortingly dull.